← Write to the Cover Volume One is now available! I’m a sucker for time travel movies. There are some great ones, too, like Back to the Future or Looper. 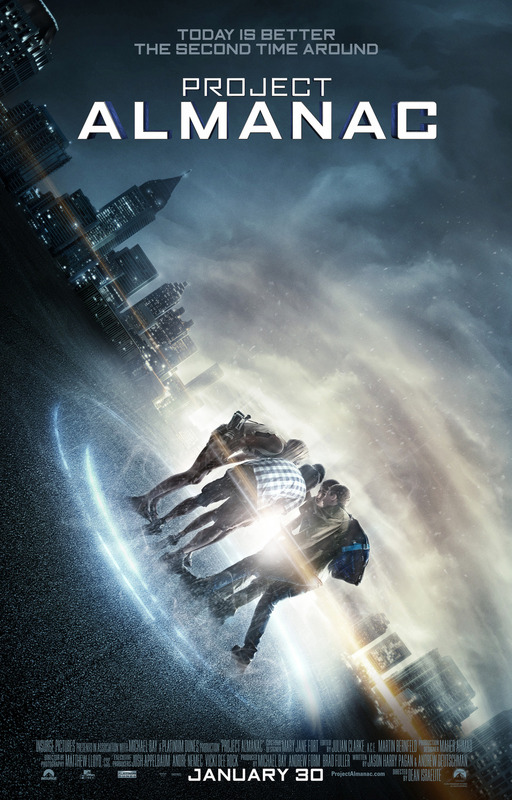 Project Almanac…is not one of them. It’s not even good. It’s exactly what you’d expect from a movie from Michael Bay’s production company: a shallow, badly acted, poorly written film that wastes too much time even getting to the point. The first actual time travel? Almost halfway into the movie. Marty McFly’s mother had already molested him several times by that same point. Worse, once they introduce the time travel, it’s all quick and choppy like a montage. They try to do homages to Back to the Future and Groundhog Day and it’s just a mess. And of course, being a time travel movie, there are all sorts of questions that I was asking myself. Like why would they mention Primer – arguably the best example of the concept of time travel done the most realistically – when they don’t even follow the same rules? Why aren’t there multiple versions of themselves hopping back in time (like the Groundhog Day sequence of trying to same thing over and over for “hilarious” results). Naturally, too, being a teen movie, it’s all about pranks and doing silly stuff. It’s like Chronicle, except a lot less focused and character driven. There’s one point in the movie where they jump back several months to go to a big concert festival. And that of all times is where the movie decides to finally slow down and focus primarily on that. Even though it’s really not all that essential. Really, all the build up to the movie comes to a head with the last 20 minutes, where were admittedly marginally interesting. It didn’t help that the reason for this last jump was telegraphed from the very beginning. Sooooo…yeah. I wouldn’t waste my time on it if I were you. There are far better time travel movies to watch instead of this. This entry was posted in Movies, Reviews and tagged michael bay, movies, project almanac, time travel. Bookmark the permalink.